Some Snorkel Lifts Manuals PDF above the page. In 1946 the American company UPRIGHT was established. The manufacturer is one of the world's largest suppliers of lifting equipment and elevator equipment. The headquarters is located in the US, Washington. The founder of the company Wallace Johnson invented a lift with aluminum supports, which can be operated even on uneven surfaces. This idea came to the founder of the company during the repair of the house and the understanding that the market does not have an adequate proposal for solving such problems. Thus, a system of aluminum scaffolds with adjustable feet was developed. In the late 1950s, the "Moment" watchtower, made of aluminum, became the market leader in the United States. The first orders from Europe the company began to perform since 1958. Jones also designed and launched the world's first self-propelled lift. The serial production of scissor lifts by UPRIGHT company was started in 1972 after the opening of a new plant in Selma. 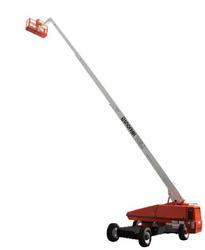 The first scissor lift in the history of the company was "Flying Carpet". Soon the consumer appreciated the offered novelties, which allowed this technique to become the sales leaders. The innovative product, in turn, bypassed the popularity of aluminum towers. After that, the company broke into the expansion of the line due to self-adjusting on uneven surfaces and high-speed models from the X series. The technology developed to this day remains the best. The model range of UPRIGHT lifts in the 1990s increased fourfold. In 1995, the TL33 was manufactured - the first cranked hauler, and in 1996 the SP37, the first cranked self-propelled lift, was produced. 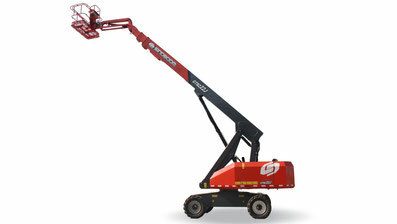 In 1996, the company specialists developed and launched innovative models of compact scissor lifts MX15, MX19. Such equipment has found application in the work of airports, shopping centers, warehouses, in the organization and conduct of construction and repair work. After 2000, the company is in decline, but after the sale of the brand of the company Tanfield Group Plc. there was a revival. In June 2006, an updated UPRIGHT Powered Access appeared, which achieved success in restoring trust to the former brand. To date, the main types of products offered by UPRIGHT companies are scissor, trailed, elbow lifts and mast vertical lifts. The manufacturer is a recognized leader in the manufacture and rental of elevator equipment and lifting equipment for various purposes. In the arsenal of the company more than 140 independent representatives, working in more than 50 countries around the world. The staff of UPRIGHT is about 700 people. American company UPRIGHT Snorkel has many years of experience in production of lifting equipment, which guarantees the user safe and trouble-free work at different heights. In 2007, UPRIGHT bought a well-known company Snorkel, formed in 1958, combining, thus, two advanced oldest companies with huge production experience, a powerful engineering unit, innovative technologies. In 2010, it was decided to leave the name Snorkel, tk. it perfectly corresponds to marketing tasks and fully reflects the range of the company's activities. Read - SINOBOOM Lifts Manuals, Wiring Diagrams & History.